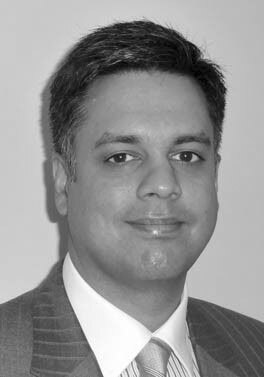 Mr Nisar is a consultant surgeon at Ashford and St Peter’s NHS Trust. Mr Nisar provides a comprehensive service for patients with colorectal and general surgical conditions. He is a specialist in laparoscopic (keyhole) surgery, colorectal cancer, inflammatory bowel disease and benign problems such as piles, anorectal disease, rectal bleeding, hernias and pelvic floor disorders. He is skilled in endoscopy, colonoscopy and polyp removal. He manages a range of proctolology conditions and offers HALO and PPH procedures for haemorrhoids and injections for pain control. Mr Nisar qualified in medicine from Trinity College, Cambridge and Addenbrooke's Hospital. Advanced colorectal and general surgical training was subsequently undertaken at St George’s, Ashford & St. Peter’s, Frimley Park and Royal Surrey County Hospitals. Mr Nisar has been awarded a Doctor of Medicine in colorectal surgery for his work in haemorrhoids and pelvic floor conditions. Mr Nisar was a fellow for one year at the Cleveland Clinic Foundation, USA (a world renowned centre for colorectal surgery) where he further developed his interests in rectal cancer, Crohn’s and colitis and improving the quality of surgical outcomes. Mr Nisar has been awarded substantive research grants. Research interests include surgery for rectal cancer and inflammatory bowel disease, ileal pouch surgery, continence problems.